READ this blog. Makes a valid point. What are Stormtroopers: Clones vs. Conscripts? Since Order 66 was so effective and the clones carried it out so well, how easy would it be for some enemy — like the Jedi Order to reprogram that psychological mnemonic order against the Sith – i.e. turn the tables if ever discovered? The Sith did not want to risk that. There were documented cases that the GAR Clones did question their leaders for the best course of action. Many of the Imperials that were a part of the Clone Wars did not like the Clones because of their questioning and their GAR Clones officer ranks. The Imperials felt clones were beneath them and they would never serve under a clone. GAR Clones did not get appointed high ranking officer positions. In the early days of the Empire, a different batch of clones were made on the Coruscanti moon, Centax-2, in SPAARTI cylinders. Growth in this chamber changed the genetics further from the already genetically modified (GMO) Fett DNA prepared by the Kaminoans. During the rise of the Empire, the Kaminoans discover the Imperials wanted full control of the clones. To protect themselves, they tried to create their own clone army. The Empire kill the clones along with the Kaminoans. Arkanian Microtechnologies grew Centax-2 clones in one year. No amount of flash training could complete the education needed for effective military training the Kaminoan clones were getting. Moreover, cloning was expensive, not that economics concerns the Galactic Empire, but hiding the money trail is. 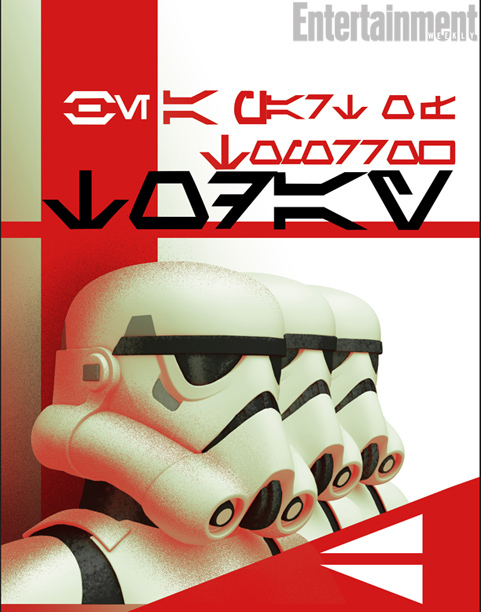 So in the Emperors infinite wisdom, he chose to follow the Imperial Military leaders recommendations (Tarkin, Derricote, Isard and others) to endorse conscription, which they spell as “volunteer”. As the owner of SWAG 77 who has a doctorate in molecular genetics, the creative license I am taking on this is based on my experience as a scientist. Stormtroopers could be “cloneless” because people can be “riled” to do anything asked of them through psychological propaganda manipulation campaigns. It seems a Sith would like doing that more-so than all this unproven genetic manipulations. A drug addiction/bioweapon/vaccine/etc can force conscripts to serve. We see that now with methamphetamine addictions, bad batch drugs, and other kinds of health malpractices. Basically, which may be a stereotype, they are taking the mentally unstable and feeding them damaging propaganda, which tells them to go kill whoever. The Stormtrooper side effect is they can’t hit their targets being so unstable. This entry was posted in Characters, Fiction, Headcanon, Performance Screenplays, Star Wars, Star Wars Pages, Star Wars Rebels, SWAG 77 Business, The Clone Wars and tagged canon history, Clones, Star Wars, Star Wars Rebels, Stormtroopers, Volunteers. Bookmark the permalink.